Though the official publication date for Artisan Pizza and Flatbread in Five Minutes a Day is October 25, 2011, you can place an order for our third book on Amazon now (they’re discounting the book 34% as of today). If you’re only interested in the electronic version, that can’t be pre-ordered; you’ll have to wait until October. If you do pre-order the bound book, nothing comes off your credit card till the book is shipped in October. If Amazon decides to discount it further between now and when the book’s first available, they guarantee that your final price will reflect the deeper discount. I for one would like to see this thing in my hands. Two years of eating pizza have gone into this book (nice work if you can get it! ), and we are terribly excited. Timing will be perfect for cooler weather (though we do pizza on the grill all summer, more about this in the upcoming months here on the site). Ordered! I’ve been doing pizza’s all along with ABin5 and HB…looking forward to your new twist on it! We are so excited about your new book. I just preordered it from Amazon. Thanks and goodluck! Got my pre-order in! Congrats guys! Can’t wait! Two questions: Is there a way I could order it now and give an address later? We are going to be moving this summer and I don’t have an address yet. The other question is, are you doing this one in an e-Book? The only way to pre-order is through Amazon and I’m pretty sure they will require an address. You may be better off waiting until you are settled. 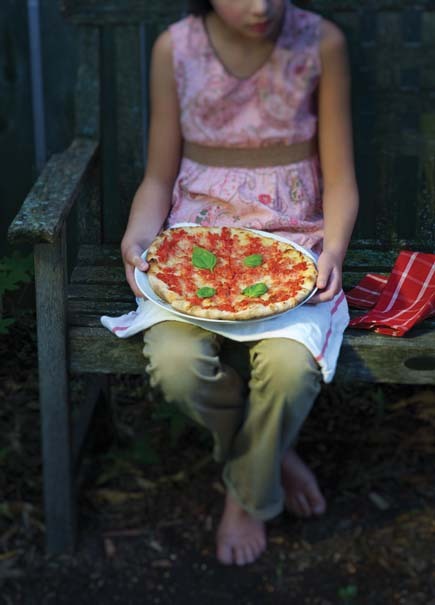 Yes, the Pizza book will also be available as an e-book when it comes out! I can’t wait!! My birthday is in November, so I already sent off a *hint-hint* email to my family. I just put in my pre-order. Can hardly wait! Thank-you both for making bread-baking accessible to the masses. I am in love with this method and so is my family. For St. Patrick’s Day I bought all of my co-workers Danish dough whisks and called them Irish dough whisks for the day. They’ve all started using your method too! Wow, you’re a nice co-worker! Congrats on the new book! I wanted to let you know that I visited Istanbul, Turkey this month and before we left, I remembered your post highlighting your visit there – it was helpful to get a preview of the things I’d see – thanks for sharing! So glad you enjoyed Istanbul, it is one of my favorite spots! Hi Zoë and Jeff, how very exciting! As I’m here in Brussels and am an e-book enthusiast, I was pretty excited to read in the comments that it would be offered in e-format too. Might be worthwhile to update the post with that info. I preordered and just popped into the comments section and read that. I have made two batches so far from the second book (whole grains) The Basic and the whole wheat with olive oil. In both cases, the wet dough and the baked loaves have white grainy looking stuff throughout. I’m thinking it is yeast. I bought fresh yeast in packets for baking with whole grains, but per the recipe did no dissolve in warm water. Wondering if you can advise? Thank you. Mary: Hmm, doesn’t sound like yeast to me, which is yellow-brown. Also, your rising wouldn’t be adequate if all the yeast was remaining undissolved. It’s something else, not sure what, odd flour? Home-ground? Other? Looking forward to book #3. I make something from the other two at least once a week. Made three loaves of sourdough for a bake sale last week and those loaves were the first things to sell. Thanks for sharing your business success story with us, Jim! Where do I send my request to get a signed photo of zoe and Jeff? I can honestly say you are the first to make such a request! 😉 The best we can do is a signed copy of the book, maybe we will be coming to a city near you on our up coming book tour? Many thanks for updating, Jeff! Thanks for your books- have been planning to get the Lodge pizza pan instead of a stone, (currently using the 10″ which is small), and saw the Lodge grill pan on Crate and Barrel catalogue- any comments yet, anyone? Are there gluten free pizza recipes in the book? There are g-f doughs in the new book and you can make almost everything in the book with those doughs. I love this book! I was hesitant to buy it as I am vegan and there usually are not a lot of recipes for me in “general” cookbooks. Boy am glad I bought it – there is more than enough for me in terms of vegan-style recipes, easily and successfully adaptable choices, and information on technique (as well as other interesting tidbits). Thanks for another fantastic and use-able cookbook! I did a little variation on your 100% WW dough and did 1/2 WW and 1/2 spelt flour and I have to say this crust is fabulous! (3.5 cups WW and 4 cups spelt) it “feels” like white dough – and if I didn’t see what I was eating I would swear it was dough made with all white flour. Dee: I wonder if you’re not using “white” spelt, in other words, bran-and-germ depleted spelt. That would account for what you tasted. I love whole spelt, and it definitely doesn’t have the bitterness of whole wheat– that might also be the explanation.